Would you want to know the gender of your baby before he/she is born? With my first I was so excited to know the gender that I just had the ultrasound tech tell us as soon as she knew. For my second, I may try to let the suspense linger a little bit longer so that I can use some of these fun gender reveal party ideas. Have you heard of a gender reveal party? It’s a way to share the big news with your family & friends during a fun celebration. Basically, you would have your doctor or ultrasound technician write the baby’s gender on a piece of paper and then seal it in an envelope. There are many creative ways you can choose to reveal the big news. 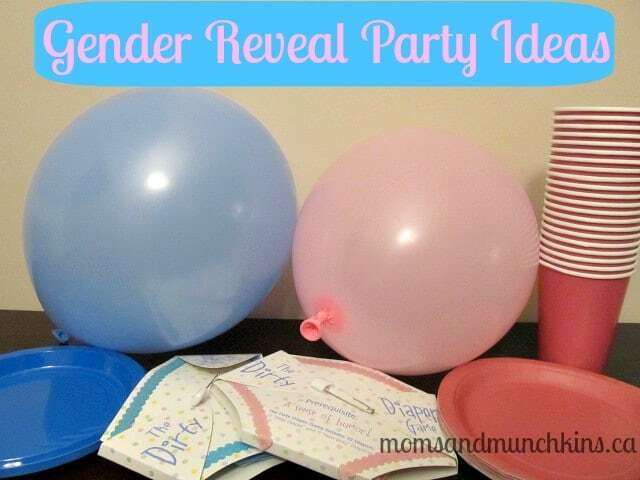 Here are some gender reveal party ideas to help you create your own special party plans. Give your secret envelope to your local bakery and ask them to make a cake with gender neutral colored icing but have the cake itself colored either pink or blue. When you cut into the cake at the party – you’ll have a HUGE surprise…and delicious cake to eat! Give your secret envelope to a party store that can fill a box with helium balloons that are either pink or blue. Open this box at the party to reveal the big surprise. Give your secret envelope to a restaurant manager who can decorate a private room in the restaurant with either blue or pink decor. You’ll have to hold everyone in a waiting area so the big reveal is done with everyone in attendance. Keep the secret envelope sealed until the party. At the party, let your older children take center stage to open the envelope to make the big announcement. Your gender reveal party ideas don’t have to be big to be memorable. Here’s a BIG idea – hire a plane to fly over your outdoor party with the message on a special banner. Ha! Would be a good idea if I could afford to hire a private plane! Give the secret envelope to a professional who could make a DVD slideshow of pictures of you & your spouse growing up, pictures of your relationship together, your wedding, etc. The end of the video could reveal the big news along with the latest ultrasound photo. This is something special you could also email to friends and family. Your attendee list could include family, close friends, neighbors – whoever you want to share your big news with! Do you have family members or friends that can’t make it to the party? Try planning a video conference so they can all participate from a distance. You’re going to want to make sure that you have someone assigned to videotape the entire revealing. It’s something you can show to your little ones some day. Before doing the big reveal, you could ask guests to take their guess on a gender. Everyone who is guessing “girl” can stand on one side of the room and everyone guessing “boy” could stand on the other. BigDotOfHappiness.com recently shared a fun idea where everyone who was guessing “girl” was asked to attend the party dressed in pink and everyone guessing “boy” dressed in blue. For little ones at the party, you could provide them with silly pink or blue wigs to wear along with pink or blue wands (or glow sticks). Did you find out the gender of your child (or children) before they were born? How did you make the big announcement? 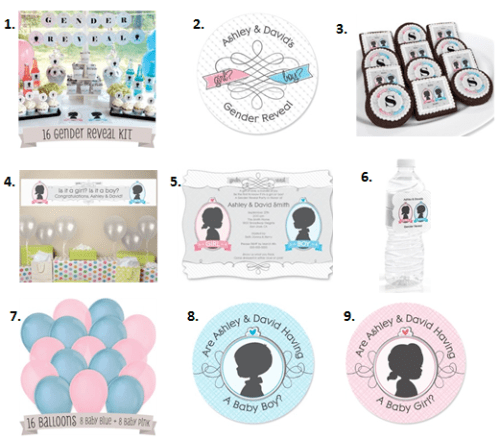 For more baby shower tips, theme ideas and free printable games, please see our Baby Shower page. Stay updated on all of the latest party ideas by following us on Facebook, Twitter, Pinterest and Bloglovin’. **Disclosure: I am part of the Big Dot of Happiness affiliate program; however, all of the opinions expressed here are 100% my own.